Aviation CAMO Pte Ltd partners with Asian Corporate Aviation Management Pte Ltd for supporting Flight Operations and Management. Asian Corporate Aviation Management Pte Ltd (ACAM) was formed in 2010 and is the Largest Privately Owned Corporate Aviation Management Company in the Southeast Asia & Pacific Region. ACAM provides its clients with a range of bespoke services from full “Turn-Key” Aircraft Management solutions through to basic aircraft operations and maintenance support services. Asian Corporate Aviation Management Pte Ltd is an approved Aircraft Management Company for financed assets by all the major funding institutions, including; Barclays, Bank of America, Credit Suisse, Deutsche Bank & UBS etc. 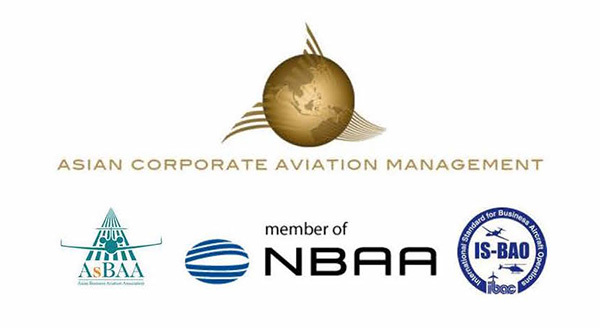 Well known throughout the Asia Pacific Region, Asian Corporate Aviation Management Pte Ltd is extremely well respected by its clients for its levels of personalized, customer-focused services, professionalism, standards of safety and integrity. ACAM is IS-BAO approved, is an active member of both the NBAA & ASBAA organizations, and has received numerous aviation Safety Awards. Strategically based in Seletar Airport, Singapore, the company has additional regional bases in both Jakarta (PT ACAM Indonesia) and Kuala Lumpur (ACAM Malaysia Sdn. Bhd. ), to professionally support your flight operations Worldwide. ACAM employs a highly dedicated and experienced team of Administration & Finance staff, Flight & Cabin Crew, and Aircraft Engineers. It also maintains a 24/7 Flight Operations Team and provides 24/7 AOG support to all its managed aircraft. Asian Corporate Aviation Management Pte Ltd maintains long-term fleet relationships with Ground Handling, Maintenance Service Providers and Insurance Companies, with the considerable savings passed directly on to its clients. Talk to us about your Aircraft Management needs.